Reverend Lydio F. Tomasi, C.S., Ph.D.
Father Lydio F. Tomasi is a founding member of the Center for Migration Studies and directed the agency from 1968 to 2001. During his tenure at CMS, Father Tomasi was the founding editor of Migration World Magazine, a bi-monthly review of current issues in migration policy. He was also editor of the annual volume, In Defense of the Alien, the proceedings of an annual conference held on immigrants’ rights and immigration policy. His younger brother and CMS co-founder, Archbishop Silvano Tomasi, recently retired as the Permanent Observer of the Holy See at the United Nations and Specialized Organizations in Geneva, Switzerland. Born in Vincenza, Italy, Father Tomasi entered the Scalabrinian Seminary for high school in Brescia and college in Como. After his noviciate in Treviso, he attended the Pontifical Gregorian University of Rome, where he earned his Philosophy and Theology Licenses and was ordained priest by Cardinal Confalonieri on December 16, 1962. In May 1984, he received his Ph.D. in Sociology from New York University. After his ordination, Father Tomasi was assigned as instructor of Systematic Philosophy and History at St. Charles Seminary in Staten Island, New York. In 1967, Father Tomasi served as Parochial Vicar at the Church of St. Michael in New Haven, Connecticut. He subsequently served for four years as Pastor of the Church of St. Joseph located in Lower Manhattan in the heart of New York City Chinatown, where he had an opportunity to test theories of immigrant incorporation, multicultural congregations, and the institutional role of churches in the adjustment process of immigrants. 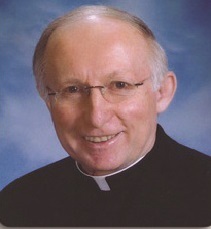 On January 15, 2006, Father Tomasi was appointed Pastor of Holy Rosary Church in Washington D.C. He served in that position through June 2013. In 1985, the President of the Republic of Italy bestowed on Father Tomasi the title of Cavaliere Ufficiale in the Order of Merit of the Republic of Italy. In 1991, the Rotary Club made Father Tomasi a Paul Harris Fellow. In 1993, the Order Sons of Italy in America bestowed on Father Tomasi the Children of Columbus Award. In 1996, Father Tomasi was the recipient of the prestigious International Prize “Guido Durso”, sponsored by the journal Politica Meridionalista of the University of Naples.